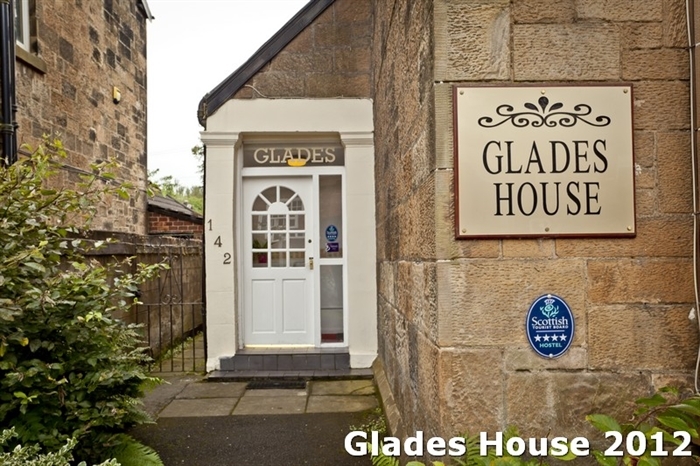 Glades aim is to provide budget comfortable accommodation to encourage guests to make us "first choice" for a return visit to Glasgow. Our rooms are only available on "room only" basis. 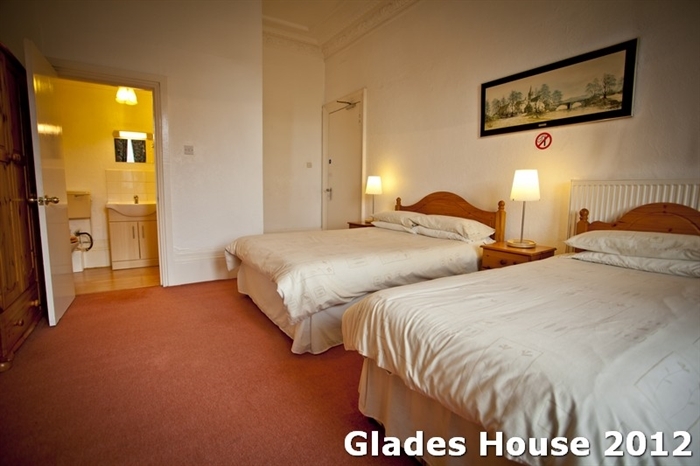 We provide Single, Double, Twin, and Family Rooms (some ensuite). 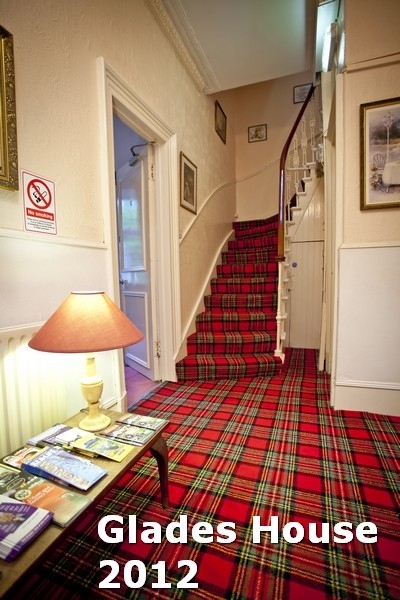 All rooms (cleaned daily) have washbasin, TV, and Tea/Coffeee facilities. 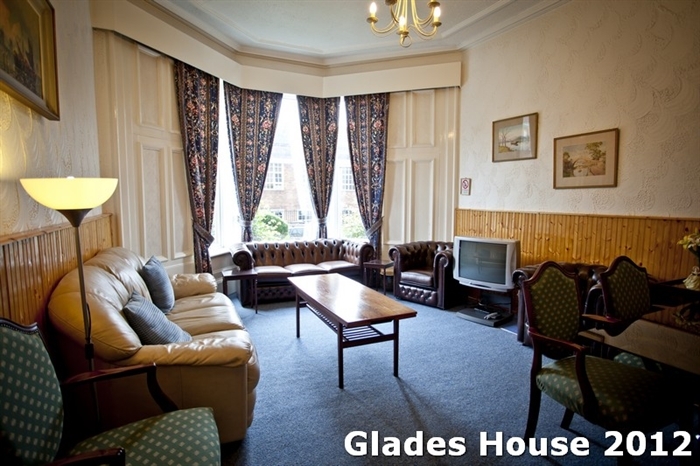 Dining areas and Kitchen are available at all times. A TV Lounge is available. 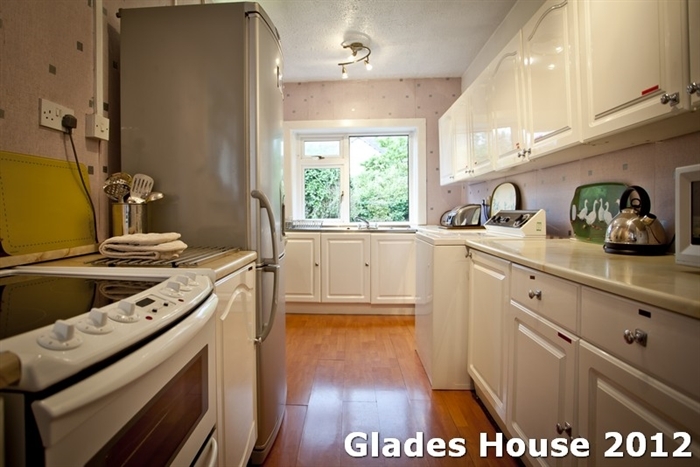 The fully equipped kitchen has laundry facilities and is free to all guests. ASDA superstore is nearby with a cafe and budget shopping. A wide variety of Pubs, Restaurants and Carry - Out shops are within a 10 minute walk. 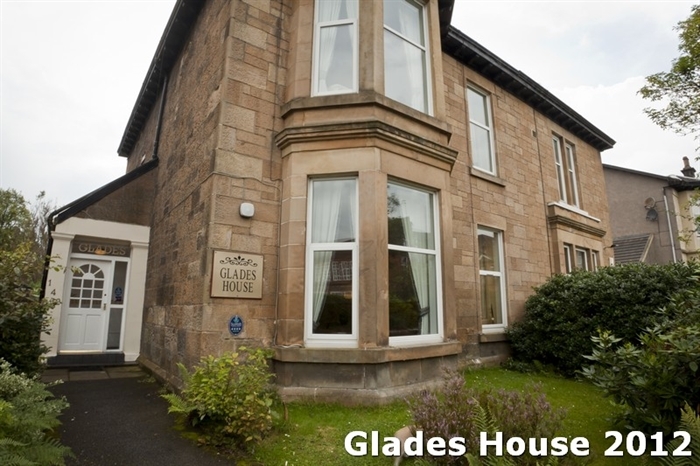 The centre of Glasgow is 8 minutes by local train and buses are nearby. Street Parking is freely available.